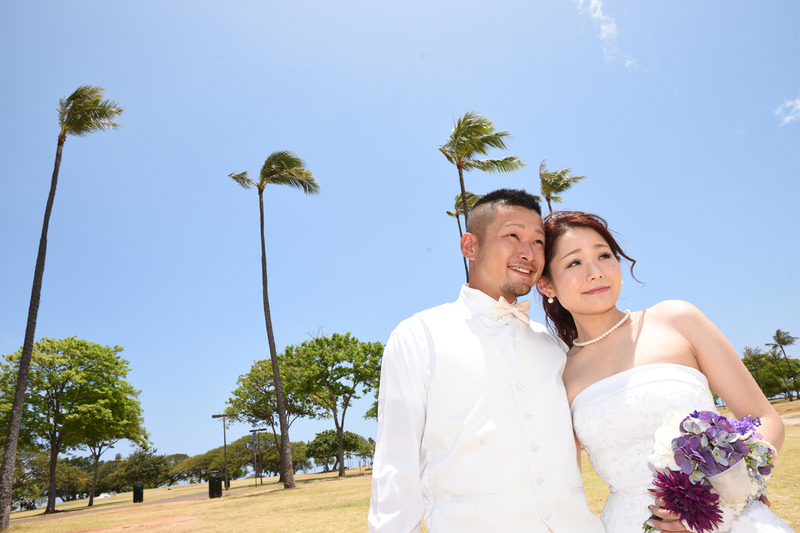 Peeking around the coconut tree at Magic Island, Keita and Saki enjoying their honeymoon in Hawaii. Keep smiling! The photos should turn out great! 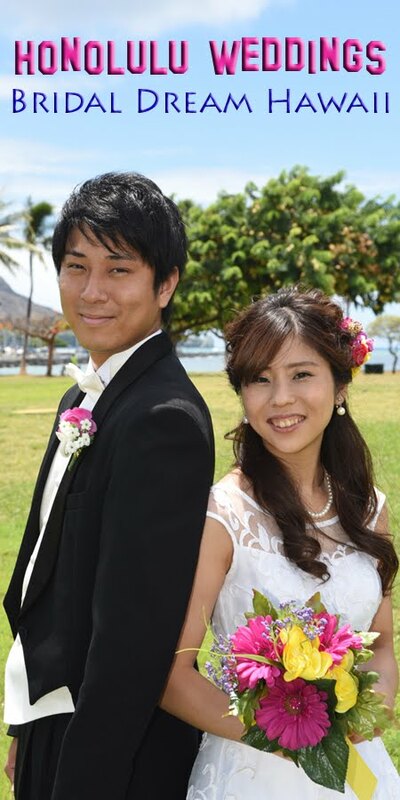 Add a few colorful flowers to your wedding photos too. Lots of color. Oahu Photographer Robert Hamilton 808-772-1140.